163 guests appreciate this topic. MADINAH: Since the Saudi Commission for Tourism and National Heritage (SCTH) began issuing licenses to private museums, several have opened in Madinah. 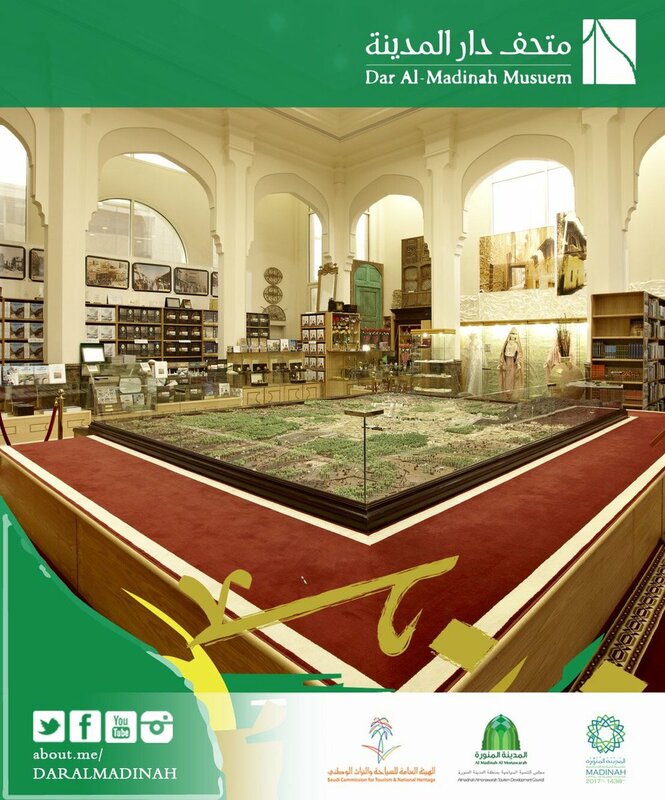 In Dar Al-Madinah Museum, visitors and researchers can learn about the life of the Prophet Muhammad (peace be upon him), Islamic civilization and Madinah’s urban culture. 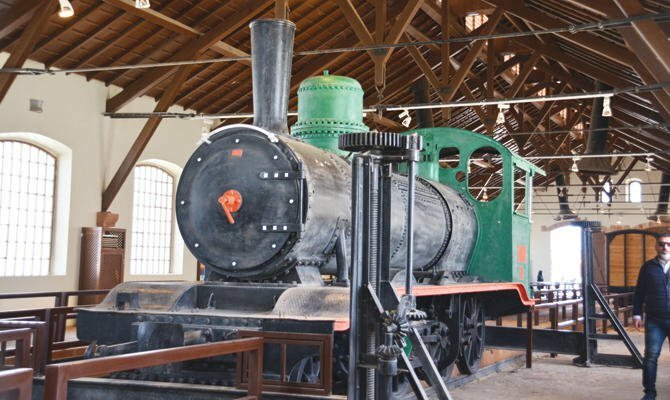 It is “the first and largest specialized museum of the history and cultural heritage of Madinah and the landmarks of the prophet’s life,” Hassan Taher, executive director, told Arab News. The museum, which has four main halls, publishes specialized periodicals on Madinah’s history and landmarks, and holds seminars and forums in this field. The hall on the prophet’s life includes a collection of rare paintings and images of Madinah, and unique collections from Islamic history. Another hall contains an open courtyard where visitors can enjoy nature and Madinah’s ancient architecture. The museum has “a highly skilled, informed cadre capable of communicating with the public based on documented sources and real scientific references,” Taher said. The team includes speakers of seven languages, including Arabic, English, Turkish and Urdu, he added. Visitors include Madinah residents, Umrah and Hajj pilgrims, official delegations, families, university students and schools from outside and inside the city, he said. The museum is located on King Abdul Aziz Road in Madinah Knowledge Economic City. It is open Saturday to Thursday from 9.00 a.m. to 8.00 p.m. The entry fee is SR25 ($6.70). JEDDAH: The claim that the tomb of Eve, mother of mankind, is in the Cemetery of Eve in central Jeddah has sparked a controversy. During a tour to the graveyard, Arab News learned that it is difficult to locate the tomb of Eve and to determine the exact date of her death. Some accounts claim that Eve was buried in this cemetery, while many academics stress that there is no reliable evidence to back this claim. 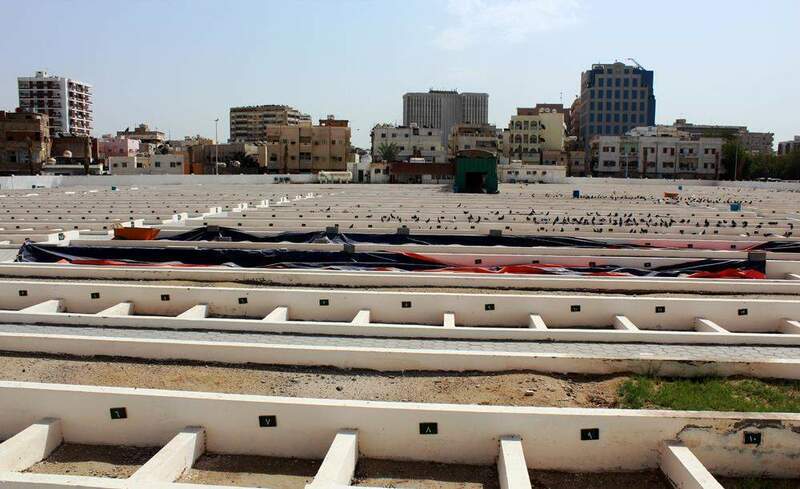 The cemetery is in Ammaria neighborhood in the center of Jeddah. According to elderly residents, it dates back thousands of years. 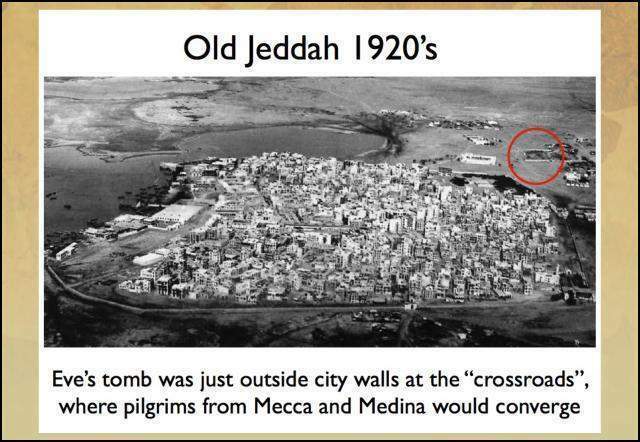 But Mohammed Youssef Trabulsi, who authored a book on Jeddah and its history, explained that all historical references do agree to Eve’s presence in this part of the world at some point in the ancient past but they differ over the exact location of her tomb. However, the cemetery is undeniably ancient, and a number of historians and travelers said that it dates back to the 9th century AH. Adnan Al-Harthi, professor of civilization at Umm Al-Qura University in Makkah, said the scientific opinion on the issue of the tomb’s existence in Jeddah remains neutral. Al-Harthi said Ibn Jubair, an Arab geographer and traveler from the 6th century AH, said that, during his visit to Jeddah, he saw an old dome said to be the home of Eve. Ibn Battuta, another Arab traveler, also pointed to the presence of the dome during his journey to Jeddah in the 7th century AH. Al-Harthi said scientific sources confirm that the habitat of Adam and Eve was Makkah, but there is no evidence that Eve was buried in Jeddah. A number of historians and travelers told many stories indicating that the site of the tomb of Eve is in the same cemetery. Some sources even identified the dimensions of the tomb, and there are drawings of it in books. 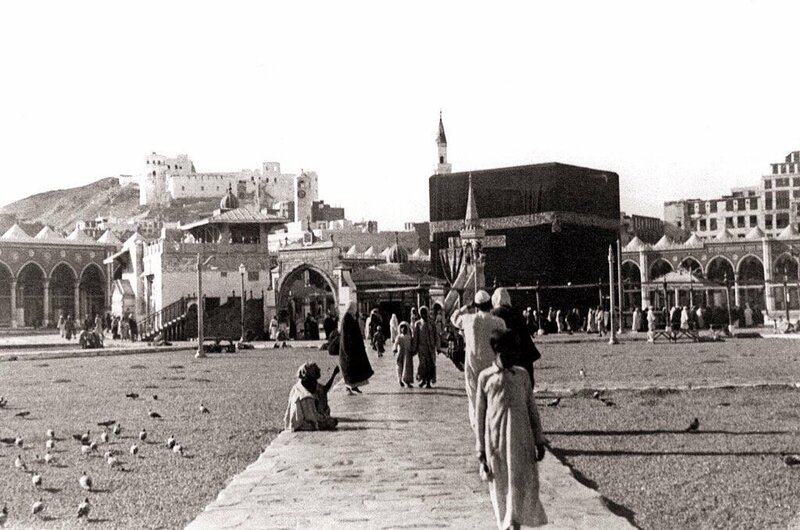 Muhammad Al-Makki, a historian, wrote in his book “The True History of Makkah and the Noble House of God” that the Cemetery of Eve used to receive a large number of visitors during the Hajj season. 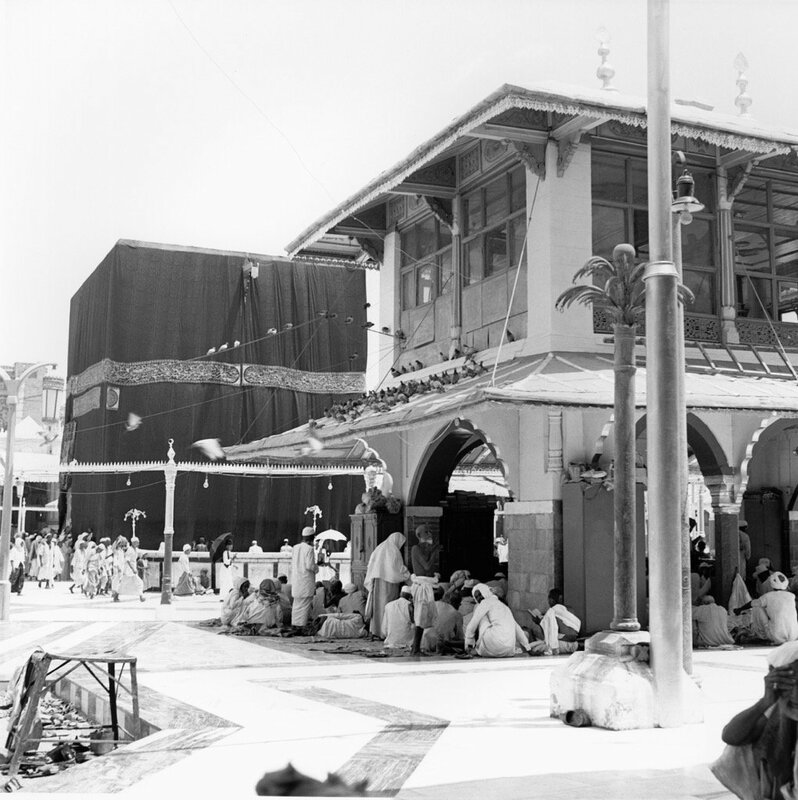 Pilgrims used to go there after Hajj rituals and were exploited by fraudsters who used to sell them some of the cemetery’s soil to take back home. Another old story says there used to be three domes built on one of the large tombs inside the cemetery, and it was believed to be the tomb of Eve. But now there are no domes in the cemetery, all graves are similar, and there is nothing to indicate the tomb’s existence. What do Westerners of different religious following know about Prophet Muhammad (peace be upon him)? What do atheists know about him? What do new Muslims know about him and what do the Arabs who were born Muslim know about him, may Allah be pleased with him? Does the average person know that when Prophet Muhammad (peace be upon him) laughed, his molars showed, or that a scent of musk emanated from his body, or that he walked at a fast pace, or that he loved sweets? We could never imagine who he really was until after a thorough study of the verses of the Holy Qur’an that describe him, and the authentic Hadith that have been transmitted over generations. It is not easy to find a book that describes the details of the Prophet Muhammad (peace be upon him) in all of his roles; as a husband, father, friend, preacher, ruler, and military commander. Most available books about the Prophet (peace be upon him) are limited to a series of events: his birth, marriage, the Revelation, battles, and his death. Realizing the pressing need for a book with a much broader scope and unique perspective, Dr. Nasir Al-Qurashy Al-Zahrani made it his mission in life to author an all-encompassing book and present it to the world. With a PhD in Arabic language, extensive background knowledge in the history of the Prophet (peace be upon him), and close contact with learned scholars, Al-Zahrani is a good candidate for this noble task. Al-Zahrani immersed himself in his writings. What started out as a book expanded into an encyclopedia with 500 volumes. “The encyclopedia is a comprehensive description of the radiant biography and excellent manners of the Prophet (peace be upon him); his physical and moral characteristics, so that you can almost picture him in your mind. It portrays his etiquette, life at home, his relationship with his family, his dress, home, possessions, and weapons. It is about the Prophet (peace be upon him) in all situations; in worship, prayer, travel, while fasting, standing, sleeping, giving sermons, in the pilgrimage, and battles. It shows the Prophet Muhammad (peace be upon him) in all of his emotions, his triumphs and tribulations; while joking, laughing, crying, and showing mercy and compassion,” said Al-Zahrani. Before ink was put to paper for the making of this encyclopedia, Al-Zahrani consulted with over 80 scholars to be certain that all information contained within the covers of the encyclopedia is accurate. The book received the approval of the Union of Arab Archeologists in Cairo. You may be surprised to learn that Prophet Muhammad (peace be upon him) in his lifetime wore 85 different types of attire, as he received gifts from afar; India, Persia, Syria. He wore several colors, including yellow and red. He tasted 92 different types of dishes. 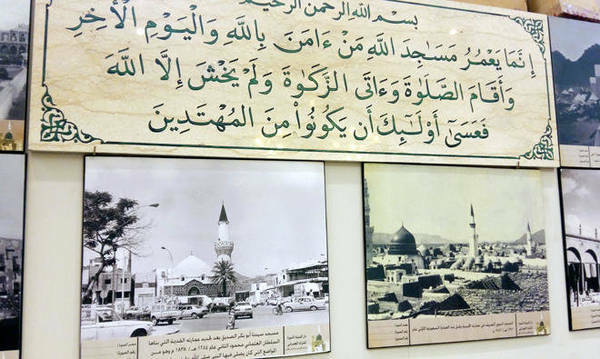 The encyclopedia fueled Al-Zahrani’s passion for Prophet Muhammad (peace be upon him); it gained a momentum of its own until the project led to a full-fledged museum to honor the best of mankind. A picturesque and outstanding museum has been founded in Makkah for the sole purpose of telling the true and full story of the Prophet’s life (peace be upon him). The museum is currently situated in Makkah and welcomes group visitors through reservations only, free of charge. The special items encased in the museum are meant to be educational tools that help us understand the details of our Prophet’s life and aim to bridge the gap between us and the people who were closest to him, may Allah be pleased with him. All the items in the museum are designed by a team of historians and scientists to identically resemble the possessions of the Prophet (peace be upon him). The museum’s founder clearly specified that they are not original old, historic relics. Even fluent Arabic speakers have difficulty imagining exactly what the qasa’a is. It is the bowl that Prophet Muhammad (peace be upon him) used to eat from; a bowl similar to it was designed and is on display at the museum. Seeing with one’s own eyes the exact size of the cup that the Prophet (peace be upon him) used to perform ablution out of teaches several lessons; in water conservation, cleanliness, living a humble lifestyle, and moderation. “The contents designed for the museum are all derived from accurate information. This part of the project is innovative and unprecedented in history; regarding the idea and contents of the museum. The items that are manufactured were mentioned in the Holy Qur’an and in the Hadith; possessions of the Prophet (peace be upon him). Our team created furniture, weaponry, helmet, clothes, coins, a scale, and eating utensils like that of the Prophet (peace be upon him). We even made the Prophet’s ring that he (peace be upon him) used as a seal. The goal is to facilitate the spread of knowledge and to present practical illustrations, utilizing the latest technologies to satisfy the visitor’s curiosity and interest in learning,” said Al-Zahrani. 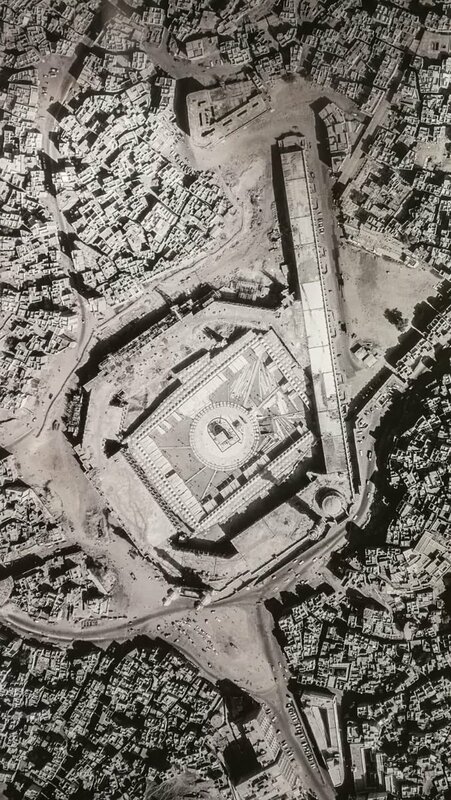 Architects and engineers built models or miniature cities of the old Makkah and Madinah. Visitors can see where the houses of the wives and companions of the Prophet (peace be upon him) used to be. It is interactive, so a visitor can press the search button for let’s say the house of Khadijah, the Prophet’s wife, may Allah be pleased with them, and her house in the model will light up. Hands-on learning is far more effective and long-lasting than more traditional methods of teaching, especially when it comes to children. The largest library ever compiled that is dedicated only to the biography of Prophet Muhammad (peace be upon him) is found in the museum. The library will include all that was ever written about the Prophet (peace be upon him); books, sources, references, essays, research papers, and any publications by any author in any language. Archives will be connected to a digital database in which all items will be stored and indexed. There is also a virtual garden that has more than 50 trees which include the names of all people in the time of Prophet Muhammad (peace be upon him) who were related to him through blood, marriage, or breastfeeding. A second branch of the museum recently opened in Dubai and was inaugurated by His Royal Highness Sheikh Muhammed bin Rashid Al Maktoum and Dr. Nasir Al-Zahrani. Work is underway to open branches in Egypt, Jordan, Morocco, Qatar, Kuwait, Yemen, Turkey, Malaysia, Indonesia, India, Germany, United Kingdom, United States, France, and Spain. Exploring a museum is one of the most enriching and enlightening forms of entertainment for families, students, tourists, and history buffs. All scholars, Haj and Umrah pilgrims, dignitaries, school and university students, and diplomats who visited the museum in Makkah were mesmerized by it and they commended everyone who took part in making it possible. We need more museums in the Kingdom. This one is more meaningful and valuable because it is entirely about Prophet Muhammad (peace be upon him). The museum is a gift to people to come and enjoy, but it is also a humble gift and tribute to the Prophet, which is why its founder called it Peace Be Upon You, O Prophet; Assalamu Alaika Ayyuha Annabi. JEDDAH: Masjid Al-Izam (Mosque of the Bones) is a historic mosque in Al-Ula governorate, located 300 km north of Madinah. In the ninth year after Hijrah (the emigration of Makkah’s Muslims to Madinah), as the Prophet Muhammad was on his way to battle, he marked the Qibla (the direction in which Muslims should pray) using bones because he could not find rocks or blocks. To mark the occasion, the area’s residents built a mosque on that spot and named it Masjid Al-Izam. It was made of stone, and mud was used to cover its walls, but it has undergone several restorations. “Mention of the mosque can be found in many renowned scientific sources,” Abdullah Kaber, a researcher in Madinah’s development authority, told the Saudi Press Agency (SPA). He said Masjid Al-Izam has attracted the attention of King Salman, who is focused on restoring a number of historic mosques across the Kingdom. The Saudi Commission for Tourism and National Heritage (SCTH) is planning to develop tourism in Al-Ula since it houses many historical sites and relics. of eight small rocks but molded together using Arabic frankincense. Every year, Muslim pilgrims from around the globe visit the Kaaba in Mecca, Saudi Arabia, to perform Hajj or Umra. 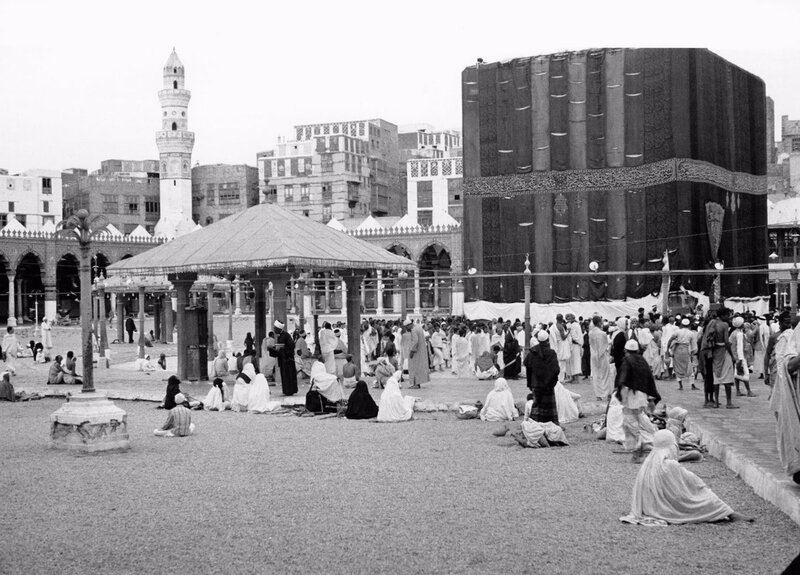 During a pilgrim’s ritual, many tend to seek the Black Stone situated in the eastern corner of the Kaaba. While the Black Stone is thought to be a whole, which can be seen placed in a silver encasement, it is actually comprised of eight small rocks but molded together using Arabic frankincense. The smallest stone is no bigger than 1 cm, while the biggest does not exceed 2 cm. The encasement, made out of pure silver, only serves as a protection mechanism for the stone. History books on the Black Stone recall how it was placed in the Kaaba by Prophet Abraham, after it was presented to him by the angel Gabriel. The stone is recognized as to have come from heaven. It is permissible for a pilgrim to begin their tawaaf, or circumambulation around the Kaaba, by kissing the black stone or pointing to it if they are not able to reach it. It has been noted in several prophetic testaments that the black stone was commonly kissed. 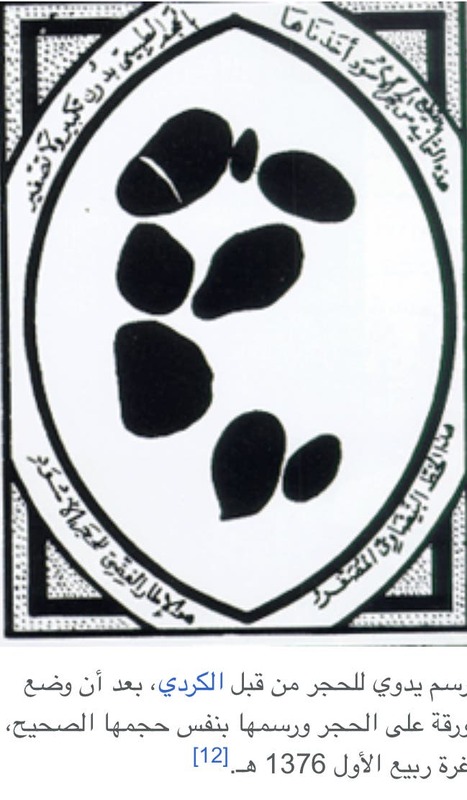 The fracturing and small size of the black stone is attributed to when the Qarmatians took it off in 339 AH. The stone was then transferred to al-Ahsa and Iraq where it ultimately broke. 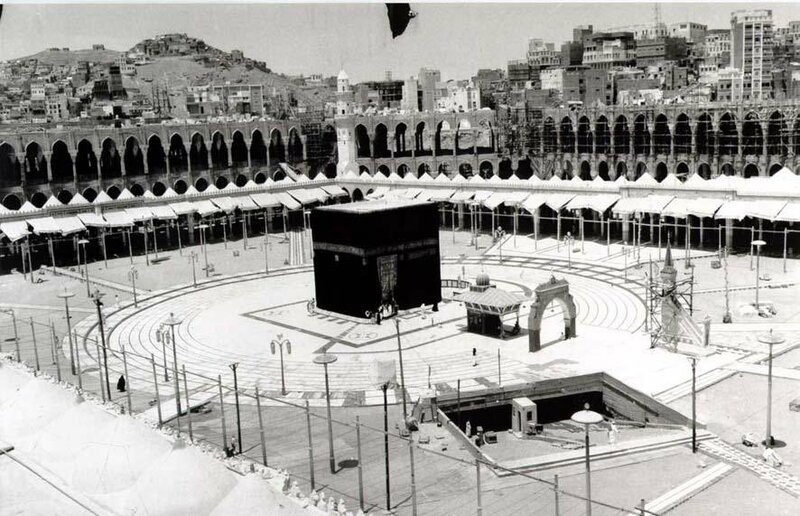 The fractured pieces where then moved back to their original place in the Kaaba. Assessed measurements indicate that the black stone as a whole measured 110cm before it was crushed by the Qarmatians. The estimated measures reflect the condition the stone was in when placed by Prophet Mohammed himself in the Kaaba incident prior to the dawn of Islam. Hand drawn picture by painter and calligrapher Mohammed al-Kurdi shows the Black Stone of the Kaaba to scale. Mosque. Right: The mastermind of the attack, Juhayman Al-Otaibi. Jeddah: Hathal bin Juhayman al-Otaybi, the son of an extremist who seized Makkah and the Grand Mosque in 1979, has overshadowed his father’s radical legacy and was recently promoted to the position of colonel in Saudi Arabia’s National Guards. 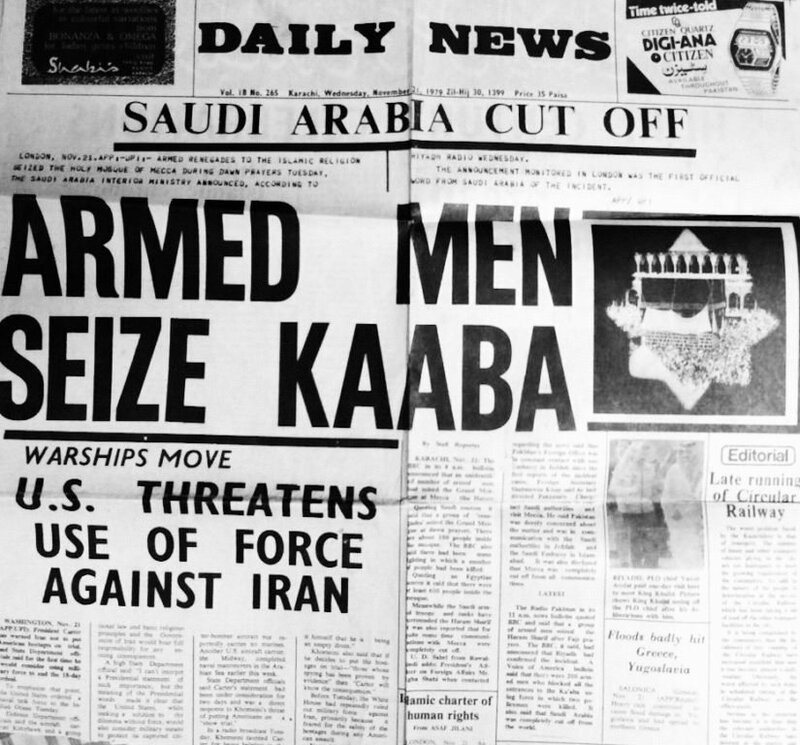 The rise of extremism in Saudi Arabia began with Hathal’s father on November 20, 1979, when a group of 200 to 300 young men led by Juhayman al-Otaybi stormed the Great Mosque of Makkah. The incident lasted two weeks, and hundreds were killed as a result. Many Saudis on social media have been sharing the news of the promotion, some of whom say this is only possible in a “moderate and just” Saudi Arabia. “His father, Jahayman, was the leader of the terrorist group that attacked the Grand Mosque in Makkah in 1979. Now this is the son Hathal, who has ascended to the rank of Col. Had he been the son of another country, they would have gotten rid of him,” one Twitter user wrote. 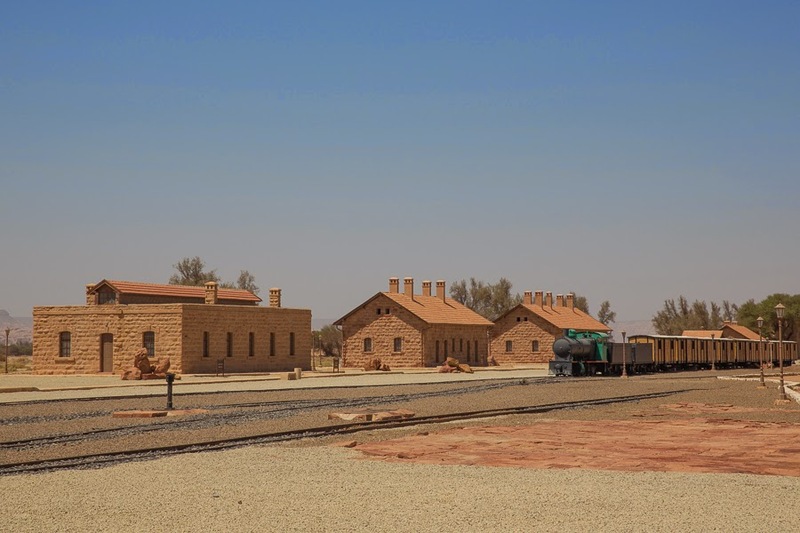 Hijaz Railway station in Al-Ula.